Sunscreen is the most underrated skin lightening product. While the beauty world is always abuzz with the latest innovations when it comes to skin whitening, sunscreen often takes the backseat as a boring product that only gets tossed into a bag during beach trips. Well, this notion couldn’t be more wrong. Sunscreen is the most effective weapon in your arsenal if you are looking to achieve a permanent skin lightening. We are constantly bombarded by skin darkening radiation from the sun, and a lot of the skin whitening products we slather on actually increase our sensitivity to the sun, so the effect of these expensive products are canceled out once we step into broad daylight. Sunscreen offers the best solution so we can continue using all sorts of skin lightening active ingredients without worrying too much about sun exposure. A good sunscreen has a sun protection factor (SPF) of at least 15 but it’s always better to go a a bit higher when it comes to SPF to make sure you’re still protected even if you might forget to reapply on time or if you’ve applied too little on your skin. Great sunscreens also offer broad spectrum protection, which means it protects against both UVA and UVB rays. Some ingredients to watch out for are Oxybenzone and Avobenzone for UVA protection and Octyl Salicylate and Octocrylene for UVB protection. Mineral sunscreens that use zinc oxide and/or titanium dioxide are broad spectrum by nature since they act as a physical barrier against your skin to keep the sun’s rays from getting in. They’re also deemed “safe” sunscreens since they use minerals rather than chemicals to block the sun’s rays and are the preferred sunscreen for those seeking a natural alternative. A great new innovation in the sun care industry is the popularity of whitening sunscreen. Essentially hitting two birds with one stone, whitening sunscreens provide ample sun protection and essential compounds that inhibit melanin production in our skin cells. Curious which are the best ones? We’ve done the research for you – here are the five best new sunscreens that offer both sun protection and whitening benefits! Shiseido is a respected beauty brand globally, and in 2011 they released a reformulated line of sunscreens, Anessa, which quickly grew to be the most popular sunscreen brand in Asia. It’s one of the strongest sunscreens, offering a whopping SPF of 50 and Pa+++, which means that it protects you against UVA rays up to 8 times more than if you go out without protection (bye, wrinkles from the sun). It has all the prerequisite ingredients to protect against UVA and UVB rays, and it has the addition of M-Tranexamic acid, a proven ingredient for skin lightening, as well as hyaluronic acid and collagen, 2 more skincare powerhouses that provide a bevy of skin benefits. As an Asian sunscreen, it is more watery than the thicker sunscreens popular in the US, but this means that it is more lightweight and easily absorbed by skin. It does not have a white cast, and the feel on skin is wonderfully comfortable. It also has the added benefit of being sweat resistant so this means you don’t have to reapply too often. It also has a noticeable effect on lightening hyper pigmentation caused by acne scars, so if you’re a former acne sufferer looking for a multi-tasking sunscreen – this one is a winner. It works for all skin types and does not leave a sheen on your skin. It can double as a makeup primer too, definitely so much win in one product! The Japanese definitely know their sunscreens. This one has similar ingredients to the Anessa sunscreen but at a much friendlier price tag. Even better? This sunscreen boasts of being fragrance-free, color-free and mineral oil free so it’s great for those with sensitive skin. It has a milky and light texture that is easily absorbed by skin and leaves no white cast. Best part is that it protects against both UVA and UVB rays and has additional collagen, amino acids and hyaluronic acid for additional skin benefits. Oh, it also dries down to a matte finish, so oily-skinned girls would definitely love this one. Sulwhasoo is one of the most popular korean skincare brands and retails at the higher end of the price spectrum. True to their herbal roots, their whitening sunscreen comes infused with a blend of korean herbs such as ginseng, root extract, and honey. It’s active ingredient is white ginseng saponin that works to inhibit melanin production, remove pigmentation over time and clarify skin. The texture is a little bit thicker than most fluid-like asian sunscreens but it absorbs into skin easily enough. It dries down to a softer finish with a dewy effect that’s popular in Korean skin care lines, so those with oily skin might not be too fond of the shine. If you’ve got a dry/normal complexion, though, and looking for a soft, dewy look – this one’s your best bet! Loreal has always been a reliable drugstore brand that churns out effective and value for money products consistently and their whitening sunscreen is no exception. 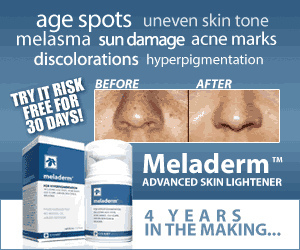 It boasts of Mexoryl SX/XL filters that enhances UVA protection against dark spots and premature aging. Plus, it’s PA++++ which offers 12 times more protection against UVA than non-application of sunscreen. In terms of UVB rays it has brightening CG that helps defend skin against UV damage. This ingredient also whitens by curbing melanin production as well. The coolest thing about this sunscreen is that it has an instant whitening effect, thanks to the pigments present in the formulation which causes the sunscreen to have a pinkish tint with a hint of shimmer. The downside? While it absorbs into skin well enough, it takes considerable time before the whitish cast disappears. It gives one a very dewy finish, and would best suit women with pinkish undertones, as it might look pasty for those with more yellow complexions. While it claims to provide 12 hours of UV protection, you might want to reapply or at least blot off excess oil by the 4th hour as it has a tendency to look a bit greasy. This sunscreen is from the brand Kamart, a Thai brand that is formulated in Korea. It’s widely distributed in Asia and is one of the more affordable “holy grail” products that has its share of internet buzz. In terms of active ingredients, it contains natural plant extracts and glutathione, one of the most effective ingredients for skin whitening. This product is more popular as a whitening cream with additional benefits of being a sunscreen. Plus, it provides an instant, albeit temporary, whitening effect that lasts for a day, and a more permanent effect in as little as three weeks. The downside? This product is classified as a physical sunscreen with the active ingredient being titanium dioxide, which means that it has a tendency to produce a whitish cast – but is also all natural. This isn’t an issue if you are fair-skinned, but if you have a more olive skin tone you might want to check out a sample before fully committing. It can also be a challenge to blend, and can make skin look chalky especially if it’s already dry to begin with.